These Top 10 chairs were handpicked by our Furniture Specialists to meet a variety of office needs. Whether you touch down at your desk a few times a day or you find it hard to pry yourself away at lunch, one of these chairs will be a perfect fit. Better yet, we know that after seeing these beauties your existing chair might seem a little lackluster. Good news! 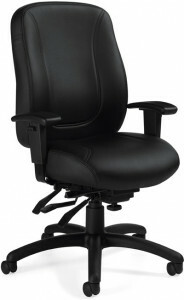 All Top 10 chairs are in stock in our Victoria warehouse, meaning we can get you sitting right faster. Sitting for more than four hours per day? Go ergonomic! Designed to promote a healthy sitting position, ergonomic seating allows maximum adjustability to support any kind of work – typing, drawing, thinking, reading, meeting­ – reducing body strain and promoting circulation. You shift positions constantly throughout the day. 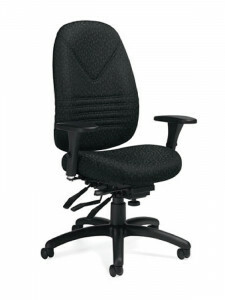 The embody chair was designed to move with you, continuously adjusting to reduce pressure points. The Embody’s back is designed like a human’s, with a central spine and flexible ribs allowing you to position the backrest in line with your spine’s natural curve. This health-positive chair has been tested and researched extensively, take a seat, adjust to your body and you’ll feel the difference. Shop now. 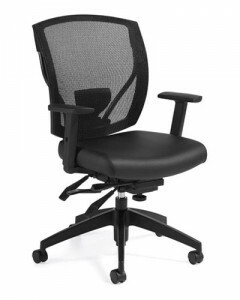 Lean and light, the Mirra 2 was designed to support people who work in a constant state of motion. The PostureFit sacral support is ventilated to keep you both cool and well supported. Good for you and for the environment, the Mirra 2 was developed with environmental responsibility in mind by reducing and reusing materials. Shop now. 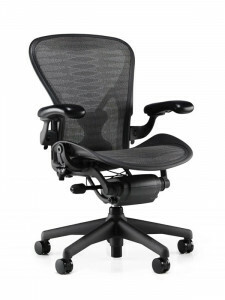 The iconic Aeron chair delivers in form and function. The innovative Pellicle fabric eliminates circulation-restricting pressure points by enveloping you in ergonomic comfort, while maintaining shape and support over time. 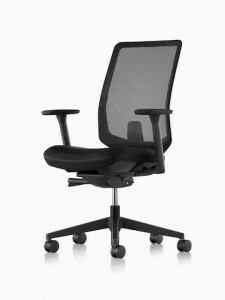 This Aeron has all the features, can be adjusted to fit your preferred sitting position, and seamlessly shift to a fully reclined position. Shop now. 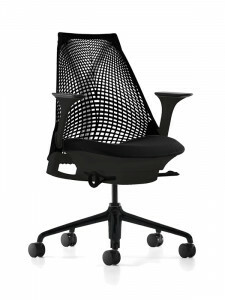 The Sayl chair combines good design, healthy support and exceptional value. Its 3D Intelligent back provides support from every angle, as its elastomer strands vary in thickness and tension to constantly adjust with your movement. A winner of multiple design awards, the Sayl is also easy on the environment, as it was designed with fewer parts and less materials. Shop now. A classic customer favourite, the medium-back Obusforme Elite includes a variety of adjustment possibilities to ensure you are at your most comfortable. Shop now. 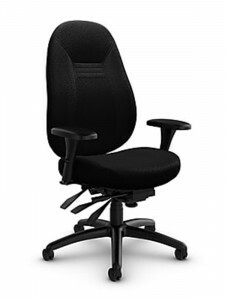 With great ergonomic features, the Chevron Ultra has a wider, more contoured seat and height adjustment featuring soft descent. Shop now. Available in both a high and mid-back version, the Obusforme Comfort features a unique support system that helps reduce strain by guiding your back into a healthy posture. 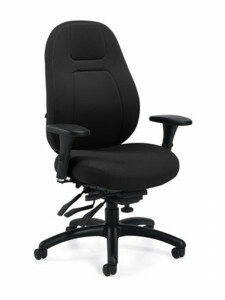 Sliding seat depth and articulating arms ensure that the Comfort chair can be adjusted to fit your precise needs. Shop now. Sit in Cosm, and you just might forget you’re sitting in a chair at all. Its sophisticated ergonomic design instantly responds to your body, movement, and posture to provide natural balance and total support. Shop now. Less bells and whistles than their ergonomic counterparts, task chairs are great for short-term seating, mobile employees and for workstations that are used for less than four hours at a time. Perfect for multiple users, functionality is at the core of task seating, for short-term users in a variety of settings. 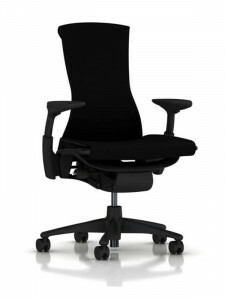 The Verus chair offers long and short term comfort. The seamless seat incorporates injection molding and foam within a contoured seat pad to provide a comfortable experience across body types of all shapes and sizes. With a comfort foam topped seat pad, the Overtime chair provides immediate comfort, while its multiple adjustments tend to the long-term wellbeing of your body. 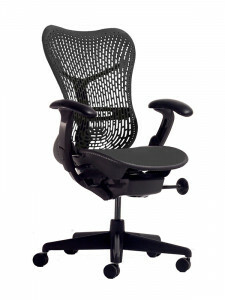 The Ibex Multi-Tilt chair features a breathable mesh back for enhanced comfort as well as various adjustments, making it a great chair for multiple, or individual short-term users.